Al Aseel in Greenacre is a restaurant like no other. The restaurant is always full of people, and is incredibly noisy. Tables for 20 are more common than tables for two. The portions are huge. Cutlery is optional, and everything is served with a side of garlic. Located on Waterloo Road in the western Sydney suburb of Greenacre, Al Aseel serves up an authentic mix of traditional Lebanese home-style cooking as well as the more popular Lebanese street foods. Last year Al Aseel, relocated from a store literally 20 metres down the road, and underwent a major facelift in the process. Gone are the cold fluorescent lights, cracked grey tiles and gaudy décor. In their place now stands a grand space, comfortably seating 220 people and boasting an outdoor dining area perched beneath an undercover balcony. The entire space is bathed in soft yellow light and a décor comprising of warm earthy hues in sandstone, taupe and chocolate brown, giving off a more contemporary Middle Eastern vibe. With that said, due to the sheer size of this sprawling metropolis of a restaurant; the space admittedly lacks charisma and a sense of intimacy - or privacy for that matter. 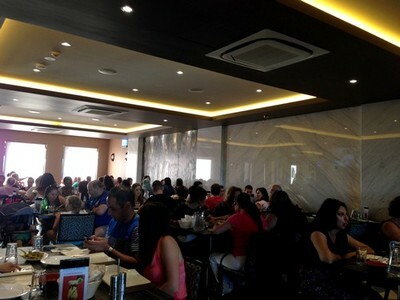 However what Al Aseel lacks in character and ambience, it certainly makes up for with food. The menu is extensive, and while individual dishes are available to get an all-encompassing taste experience; the best option is to order a selection of mezes - comprising of small hot and cold dishes that are ideal for sharing. The mixed dips ($18) are perfect for sharing and come served with crispy golden fried bread. 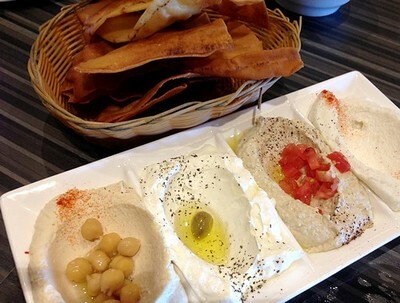 The plate includes a selection of four traditional dips including hummus, rich and tangy with a distinct zing from the tahini paste; baba ghanouj, a smoky char-grilled eggplant dip; labneh, a lightly salted silky-smooth yoghurt dip drizzled with golden olive oil; and the all-important garlic dip, thick and creamy and definitely packing a seriously pungent punch. 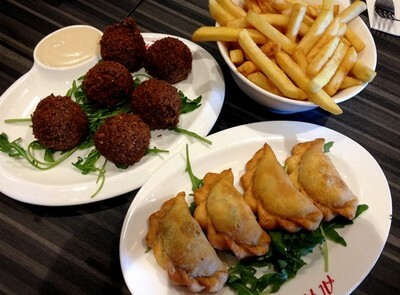 Cheesy sambousek and fluffy falafel - perfect plates for sharing. The sambousek ($10 for four pieces) are flaky and delicious golden fried parcels of oozy herbed cheese, and the well-known fluorescent green falafel ($8 for six pieces) are full of fresh coriander and Middle Eastern spices and fried to fluffy perfection. To freshen everything up; a big bowl of fattoush ($15), a chunky salad of lettuce, tomato, cucumber and radish, dressed with a sharp blend of garlic, lemon and pomegranate molasses, and are garnished with shards of crispy fried bread. For a taste of something more traditional, the kibbeh nayeh ($12), a dish of raw meat and cracked wheat is a Lebanese speciality. 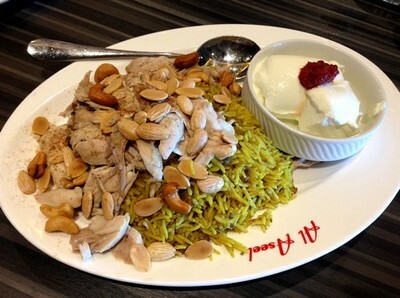 For those less adventurous and looking for something less raw, the chicken mansaf ($20) is a delicious alternative. Mansaf is a fragrant rice dish scattered with tender pieces of chicken, poached in a cinnamon, cardamom and mixed spice infused broth, and is blanketed with an array of golden toasted almonds, cashews, pine nuts and pistachios served with a spicy chilli yoghurt. 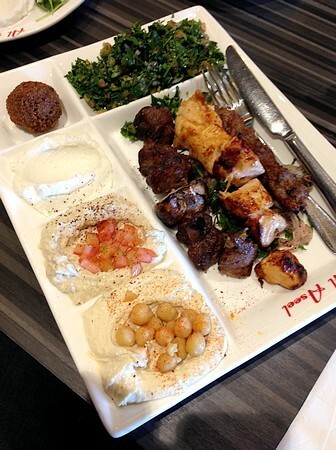 The mixed plate ($22) of char-grilled lamb, chicken and kofta, served with another generous dollop of garlic dip and tangy tabouli completes the tasting experience. The lamb, marinaded in spices and grilled to perfection is smoky and tender, and the grilled chicken, despite being chicken breast, remains succulent and juicy, having been marinaded in yoghurt, spices and garlic. The kofta, lacking in oomph and borderline rubbery is the only real disappointment here. 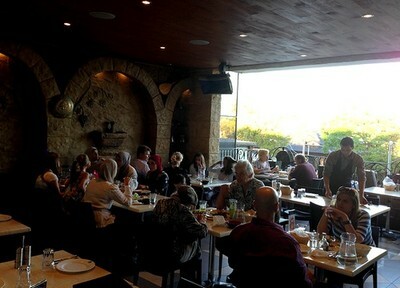 While Greenacre may be a little further afield for some, and the restaurant loud and lacking in ambience; however for a taste of bright and tangy authentic Lebanese fare, that even the locals flock to in droves, Al Aseel in Greenacre is hard to beat. 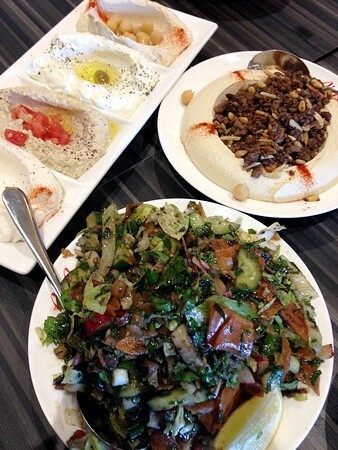 Why: Excellent authentic Lebanese food served quickly and without pretentiousness. Cost: Breakfast dishes from $5 - $14. Starters/mezes from $5 -$15. Mains/grilled meats from $13 - $26. When: Open everyday from 8am - 10pm.